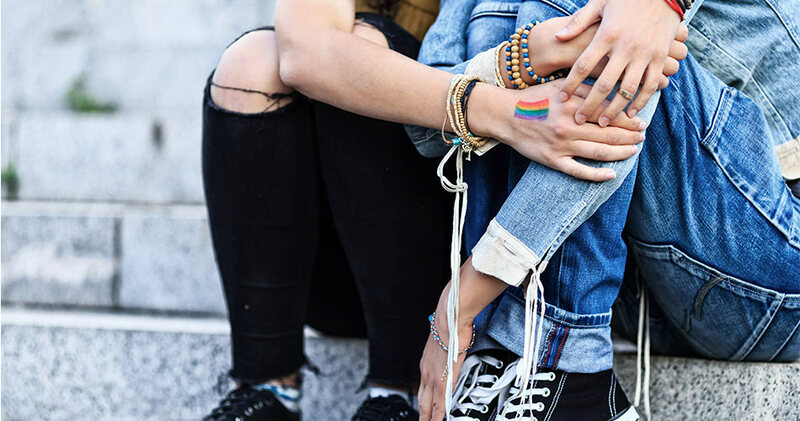 We offer a comprehensive clinic for transgender, non-binary, intersex, and non-conforming youth, as well as for youth questioning their gender—care for physical, mental, and emotional health. manage hormone suppression or hormone therapy. Our team includes an adolescent medicine physician, pediatric endocrinology physician, psychologist, and dietitian. Please note that you may not meet everyone on your team at each appointment. When Can I Start Hormones? Your overall health is important to us. Before prescribing puberty blockers or hormones, we want to make sure that any physical or mental health conditions you have are being treated and well-managed. When Can I Have Surgery? you establish a relationship with a mental health therapist. This helps surgeons make sure you're ready and healthy enough for surgery. The Adolescent Gender Management & Support (GEMS) Clinic helps teens affirm their gender through treatment and support. What Can I Expect at My First Appointment in the GEMS Clinic? During your first appointment at our clinic, our team will get to know you and your parents/guardians. We'll also ask you questions about your medical history. Get your permission to contact your mental health therapist. If you don't have a therapist, we'll help you find one. Talk about your social support network: Do you have family and friends who will help you during your transition? How Often Do I Need to Come to the Clinic? After staring hormones, we'll usually plan to see you every 3 months for 2 years until you've finished your gender affirming puberty. After 2 years, we'll plan to see you every 6—12 months, depending on your needs.